Excited about buying your first house? Maybe you've decided to add another property to your growing investment portfolio? A popular option for buyers is to purchase property off the plan. Buying off the plan can provide many advantages to a home buyer. You'll get a brand new house with a contemporary design. The price for the property is already established, so there's no need to try your luck at an auction. If it all sounds too good to be true, then you're not wrong. 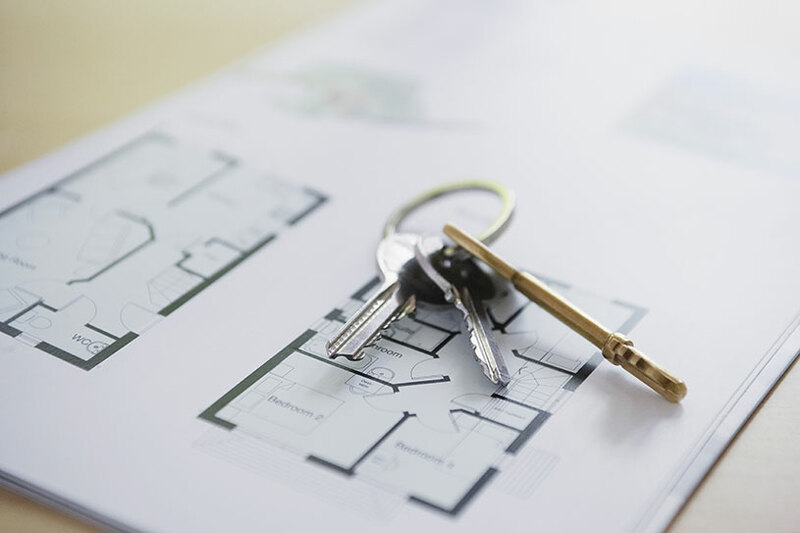 There can still be risks involved in buying property off the plan, and it's important to understand what you need to be aware of before you buy. Contact Conveyancing.com and discover how we can help you with buying a property off the plan. 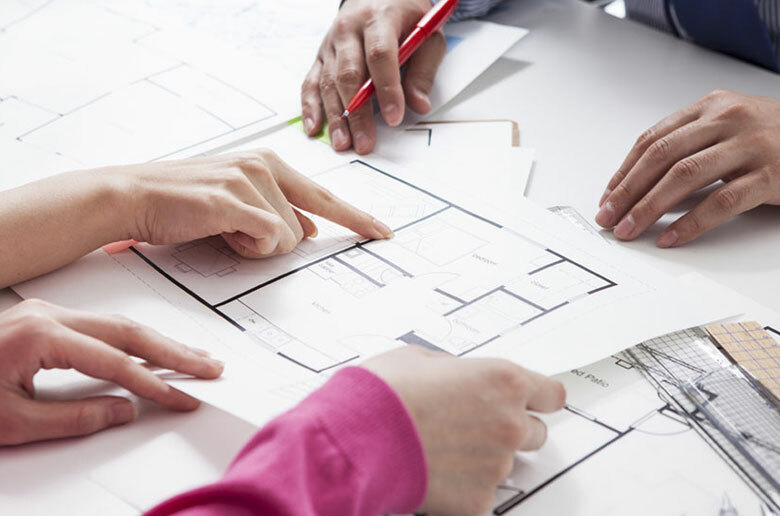 Don't assume that the plans and blueprints of the house you're looking at have been finalised. In some cases, the final designs may not be signed off and approved by the designer, construction company or the local council. Plans and specifications will show you what the developer intends the house to look like. But until construction is complete, there is a number of factors that may influence a change in the overall look of the property. This could be anything from a change in council laws and legislation to budget restraints. According to the Sale of Land Act 1962, any changes to the plan must be made aware of to the purchaser within 14 days of the amendment being requested. If you are not notified within 14 days, you are allowed to cancel your contract of sale for the property. In a situation where you are not informed of an amendment, you are only allowed to cancel your contract if the amendment materially affects the lot to which the contract relates. Are you planning on making your new purchase into an investment property? Like any property purchase, you should keep in mind that your house may drastically reduce in value. House prices fluctuate all the time. So it's important you are prepared for it. Depending on how many properties have been sold in your estate, it could be a long wait between the time you've signed a contract of sale and the day your new property is built. Some companies will not commence construction on your property until a certain amount of other properties have been purchased. If you end up waiting nearly two years for your property to be complete, the price could drastically drop or increase. It could depend on environmental factors such as a change in the desirability of the area. So be prepared if you're thinking about selling your property or renting it as soon as construction is complete. After signing a contract of sale, there is no guaranteed date for when your new property will be built. A Contractor may not go ahead with building your house until all costs are covered. All construction costs for your property may not be covered until further properties in your estate have been sold. Your contract of sale should outline the estimated time it will take for the developer to complete your new house. A developer will usually try and negotiate flexibility in the contract to alter time frames for your property's completion. 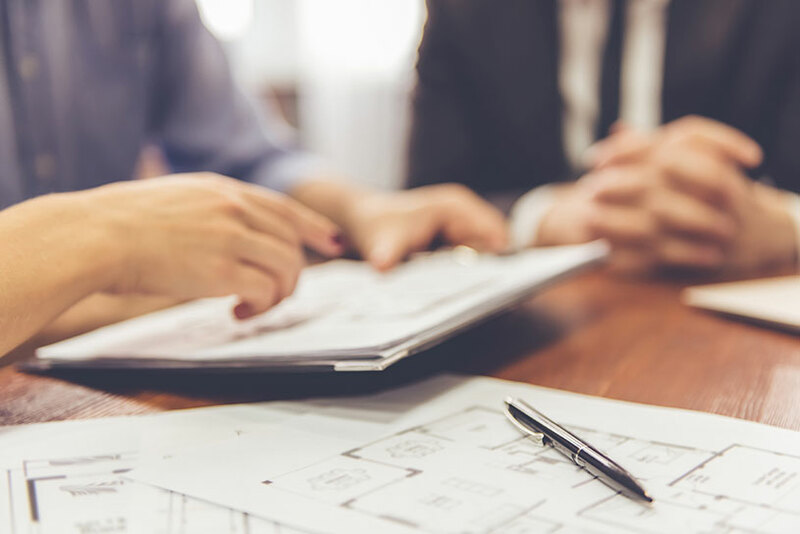 If a developer is unable to complete your property within the agreed time frame, then both you and the developer can terminate the contract of sale. In this situation, your deposit should be refunded to you. While getting your deposit back is a positive outcome you could potentially end up wasting a lot of time waiting on an investment that never eventuates into anything. Make sure you review all inclusions and warranties of your contract thoroughly. Buying a property is one of the largest commitments you'll make in your lifetime. So it's important you get it right. In some cases, a contract may give a developer the right to alter finishes and materials of the property. This is just one example where a developer can cut costs on building your house without you even knowing it. What you may end up with is a new house that is not made to the same standards you initially had in mind. Enlisting the services of a good conveyancer can safeguard you against any negative changes to your property. A conveyancer can thoroughly review your contract of sale and bring any potential risks to your attention. Developers will provide you with a detailed outline of exactly where your new property will be situated. Will your house be in a court, crescent or the middle of a street? The exact position of your property on an estate plan can have a significant effect on the aesthetics of your house. If a house is situated near a busy area such as a freeway or train station, then residents will have to contend with noise pollution. Does it have a convenient car space with easy access? There are many undesirable factors you may miss if you don't review the plan of your new house properly. If your property happens to be one of the last sold on an estate, then there is probably a good reason why other buyers avoided it. It's always a smart move to consider the suburb of your new property. The developer may promise you a high rental yield. But promises like this aren't realistic because a lot can change from the time your contract is signed to building completion. Your suburb will need to have regular growth in order for it to keep gaining value. Good facilities and infrastructure are usually a good indicator that your suburb's average house price will rise. Desirable aspects could be a short distance to the nearest public transport or freeway entrance. Others could be nearby childcare centres, schools, shopping centres and eateries. Potential buyers may look to buying property off the plan as a sound investment opportunity. They see new exemptions and concessions introduced by the government that are meant to encourage new home buyers and stimulate the housing economy. You plan on moving into the house. The property is currently valued at $750,000 or less. The house will be your principal residence and the dutiable value is equal to $550,000 or less. You should always make sure you are covered by home warranty insurance before you sign a contract of sale. This advice is more relevant than ever when you buy property off the plan. Builders in Victoria are legally required to take out this insurance when they are involved in any works valued at more than $16,000. Building work hasn't commenced, your insurer should reimburse you the initial deposit that was paid to the building company. Additional costs are paid for any defective work that needs to be repaired as a result of the initial construction. Your builder terminates the contract before completion and additional compensation is required to pay for the rest of the building project. 9. Where is your deposit going? Take note of where your deposit is going. Is your deposit held in a trust account or is it being paid directly to the developer? In some cases, even a real estate agent can offer you a trust account to store your deposit. Developers who offer to hold the deposit themselves may charge a higher rate of interest. The extra interest you pay over the years when your house is being built can incur a higher cost than you initially budgeted for. So if you're serious about buying property off the plan, don't rush headfirst into this type of purchase without considering all the potential risks. It's an important purchase that requires plenty of valuable time and resources before it pays off financially. Don't hesitate to seek professional advice, from your financial adviser, to a conveyancer. Ask the developer any questions you have about the property and contract before you take the big leap and invest in the property market. Curious about the conveyancing process for buying property off the plan? Contact Conveyancing.com now.